How does the Pulpmaster System work? Waste management is a global environmental and financial concern. Finding ways to divert waste from landfill is becoming increasingly important. The Pulpmaster is an innovative solution that turns food waste into sustainable organic fertiliser and green energy. Cafes & Restaurants, Commercial Kitchens and Fruit & Veg Shops all generate large volumes of food waste. This food waste is collected by way of our caddy system; lightweight and easy to manoeuvre on-site food waste transportation. After collection, food waste is tipped into the Pulpmaster drum. The user presses the Auto Start cycle button. The lid will automatically close, making the unit completely safe as it goes to work. The food waste is macerated and turned into a pulp inside the machine before being pumped into a holding tank. The Pulpmaster can process up to 1,000 litres of organic waste in just 20 minutes. When the holding tank is nearing full , an automated email is sent to J.J. Richards who will then arrange to collect the pulp from the holding tank. The organic pulp is a suitable feedstock for anaerobic digestions, generating biogas for renewable energy generation. In addition, we also take the pulp to an organics recycling facility where it is turned into organic fertiliser. The organic product created from Pulpmaster plays an important role in the life cycle of healthy, organic crops by improving soil conditions and nutrient levels. Products grown with Pulpmaster fertilisers are healthy and organically fed products which are perfect for the consumer market. Finally, a cost-effective and environmentally friendly solution to eliminate food waste in your business! Contact us today to talk to one of our team members. Businesses in the accommodation industry, small and medium food businesses, large franchise fast food chains, hospitals, nursing homes, clubs and hotels, restaurants, cafes, supermarkets, and virtually any businesses with a commercial kitchen. For businesses with a smaller waste stream we recommended our Mobile Bin Service (more information on product page). A reduction in the likelihood of oil and grease entering the sewer system. The Pulpmaster food waste recycling system diverts food waste generated in a commercial kitchen from landfill. The innovative Pulpmaster system is both efficient and effective in separating the waste stream at the source, encouraging best practice waste management. The Pulpmaster system contributes to a reduction in greenhouse gases and subsequent environmental impact. It also reduces the need for more landfill sites which bring environmental challenges of their own. Pulp generated from the Pulpmaster is used by commercial composters to generate organic fertiliser. Organic fertiliser provides an invaluable source of nutrients to agriculture, enhancing the environment and stimulating natural balance. Organic fertiliser can be used in a variety of agricultural and environmental applications and supports sustainable, organic farming systems. The pulp from the Pulpmaster can also be utilised to produce biogas, an excellent fuel for the generation of green energy. The Pulpmaster food waste recycling system can divert the food waste generated in a commercial kitchen from landfill. The innovative Pulpmaster system is both efficient and effective in separating the waste stream at the source of generation thus encouraging best practice for the management of waste. Integration – The effective integration of environmental, social and economic considerations in decision making. This reduces the need for additional landfill sites and helps prevent the production of greenhouse gases. Ecological Integrity – To protect biological diversity. The Pulpmaster system provides a number of benefits to help protect biodiversity. The Pulpmaster system contributes to the reduction in greenhouse gases thus reducing the likelihood of negative environmental impacts related to climate change that in turn impacts biodiversity. It also reduces the need for more landfill sites and further degradation. Increased recovery of recyclable materials reduces pressures on the use of non-renewable resources. Biogas is primarily methane that is generated from an anaerobic digestion of organic (food) wastes by microorganisms. Biogas is an excellent fuel for heating purposes as well as for generating electricity. It is based on renewable sources. The production of Biogas is one of the most important resources for reaching our renewable energy targets. It already contributes more than half of renewable energy consumption in the European Union, providing a clean, secure and competitive energy resource, “said EU Energy Commissioner Gunther Oettinger. It can provide distributed energy generation, thereby providing much-needed energy for a growing demand. It provides a beneficial way of disposing organic waste diverting a waste from landfill into a resource for green power. It reduces the need to burn fossil fuels thus reducing Greenhouse Gas Emissions. Estimates put greenhouse gas emission reductions at between 50% and 150% compared to fossil fuels. It reduces the community’s need for additional landfill sites thus reducing potential land degradation. It reduces the likelihood of methane emissions and leachate from landfills. Organic Fertiliser provides an invaluable service to agriculture which enhances the environment and stimulates natural balance. This supports sustainable, organic, commercial farming systems. Organic fertiliser can be used in a variety of agricultural and environmental applications. Organic farming, whether it’s commercial organic farming or an individual wanting to grow vegetables in an organic garden can benefit from the use of organic fertiliser. 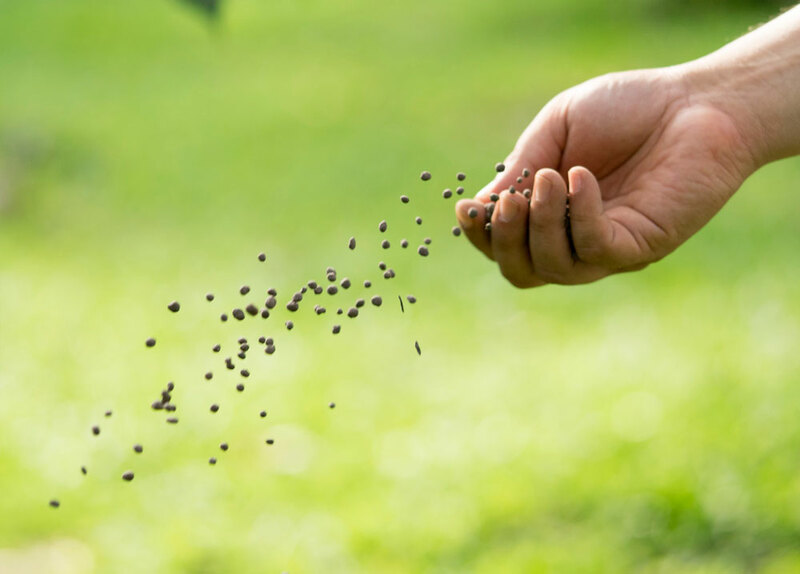 When used in conventional agriculture, organic fertilisers can increase the efficiency of applied fertiliser while prompting the growth of beneficial microorganisms in the soil. Landfills are the oldest known method of waste disposal. Waste is buried in large dug out pits (unless naturally occurring locations are available) and covered. Methane gas, a strong greenhouse gas, can build up inside the landfill leading to an explosion unless realised from the pit. Leachates are fluid metabolic products from decomposition and contain various types of toxins and dissolved metallic ion. If leachate escapes into the ground water it can cause health problems in both animals and plants. The volatile organic compounds ([VOCs]) are associated with causing smog and acid rain. With the increasing amount of waste produced, appropriate places to safely store are becoming more difficult to find. Pulpmaster is a food waste management system that will solve the food waste challenges of many businesses. 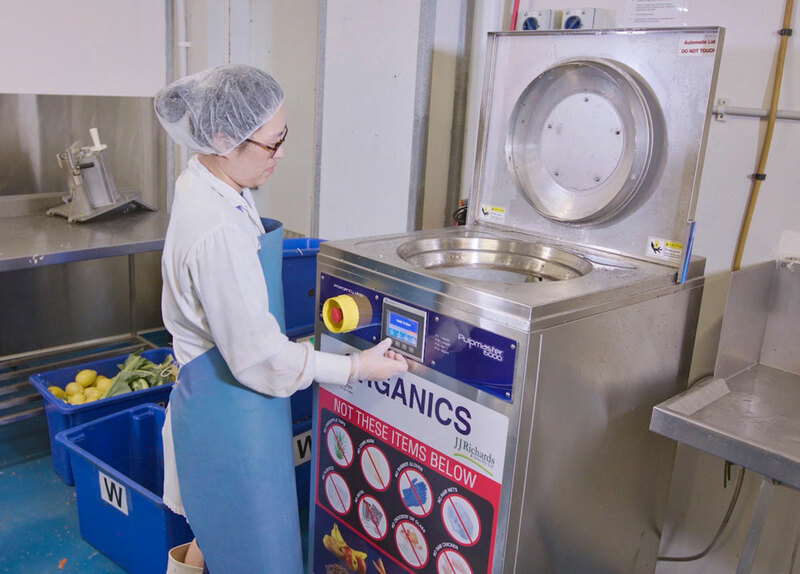 The Pulpmaster food waste recycling system is a cutting edge solution for the recycling of food waste in commercial food business.